Architecture has been proven to affect people’s moods and emotions. The designers behind these six beautiful sports facilities have taken that to heart. 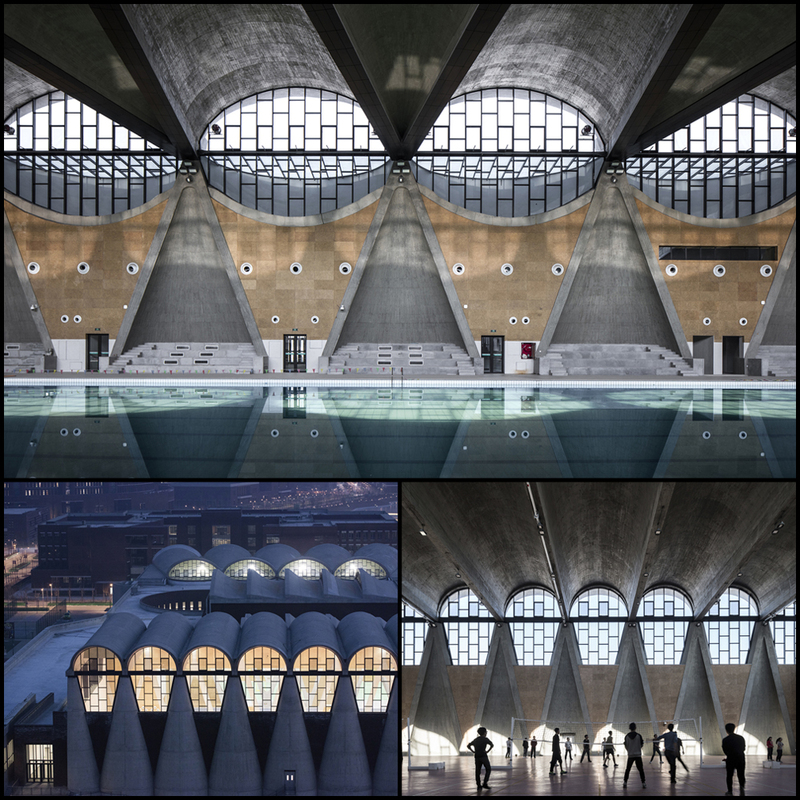 These recreation centers motivate visitors with visual stimulation, while enriching their hometowns with artful architecture. There is no shortage of evidence that creative and interesting building facades uplift the spirits of passers-by. Moreover, interiors that are designed to please the senses actually inspire minds, decrease stress, and promote happiness. Sports facilities are no exception to how architectural design impacts the subconscious. 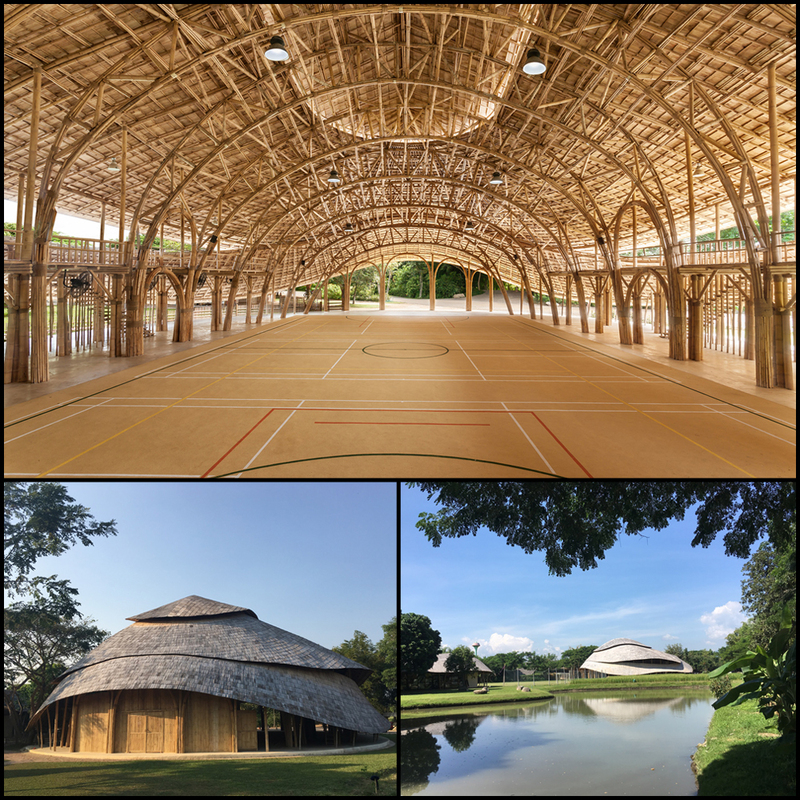 Panyaden International School’s new Bamboo Sports Hall in Thailand combines modern engineering, sustainability, and Buddhist inspirations. The bamboo specialists of Chiangmai Life Construction designed the structure to withstand strong winds, earthquakes, and shear forces. Ventilation and natural insulation keep students sheltered and cool in the region’s tropical conditions. The multi-purpose venue has an expected life span of at least 50 years, accommodates 300 guests, and hosts a variety of sport activities. The Emerald Hills Leisure Centre is physically connected to Archbishop Jordan Catholic High School in Alberta, Canada. 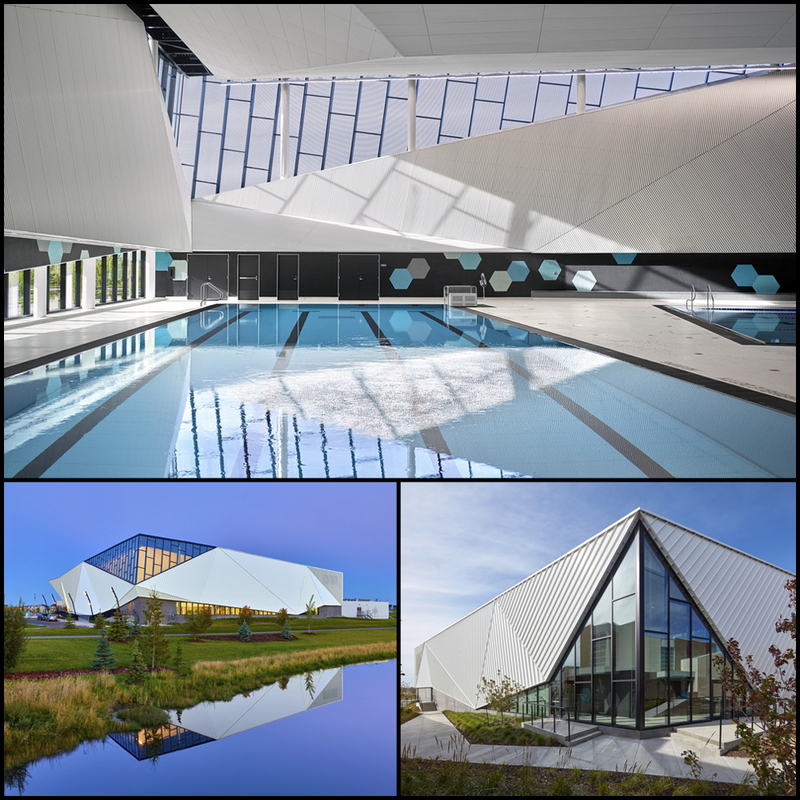 The community sports center was co-developed by Marshall Tittemore Architects (MTa) and MacLennan Jaunkalns Miller Architects (MJMA). Its design features a 6-lane 5-meter pool, tot pool, whirl pool, therapy pool with an adjustable floor, and a steam room. Space has been allocated above the change rooms for a future fitness center. The aquatic facility is used by the school’s students, and is also open to the public with the aim to provide a hydrotherapy venue for patients. 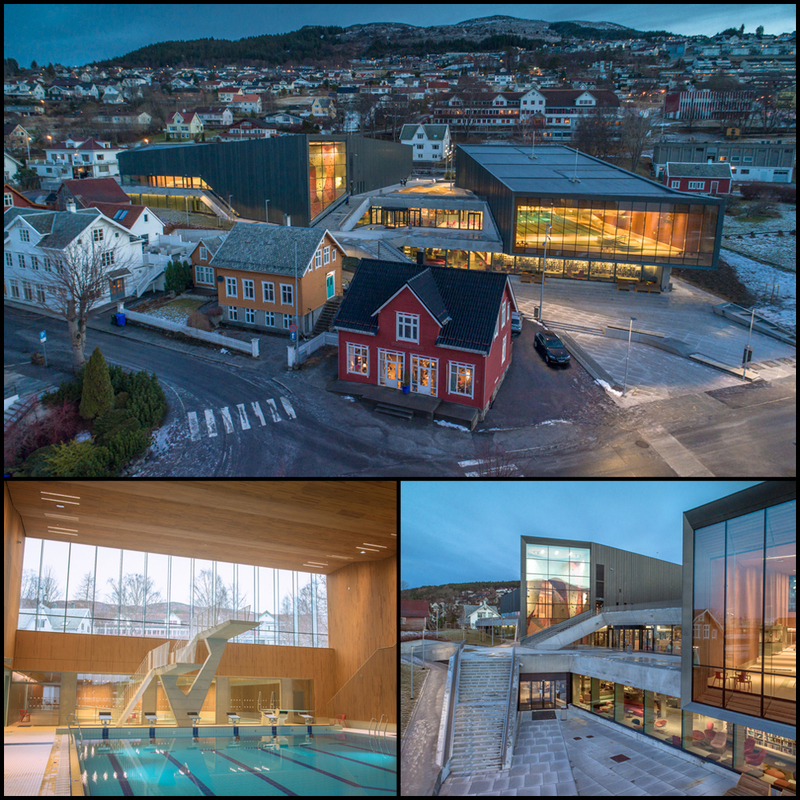 Ulstein Arena was designed by Lund+Slaatto Architects to serve as a gathering place and sports center for the residents of Ulsteinvik in Norway. The modern complex includes a large multi-purpose sports hall, a number of swimming pools, a library, and climbing walls. As a tribute to the surrounding mountains and the city’s shipbuilding history, the facade is a mix of concrete and zinc while the interior incorporates wood for comfort and warmth. 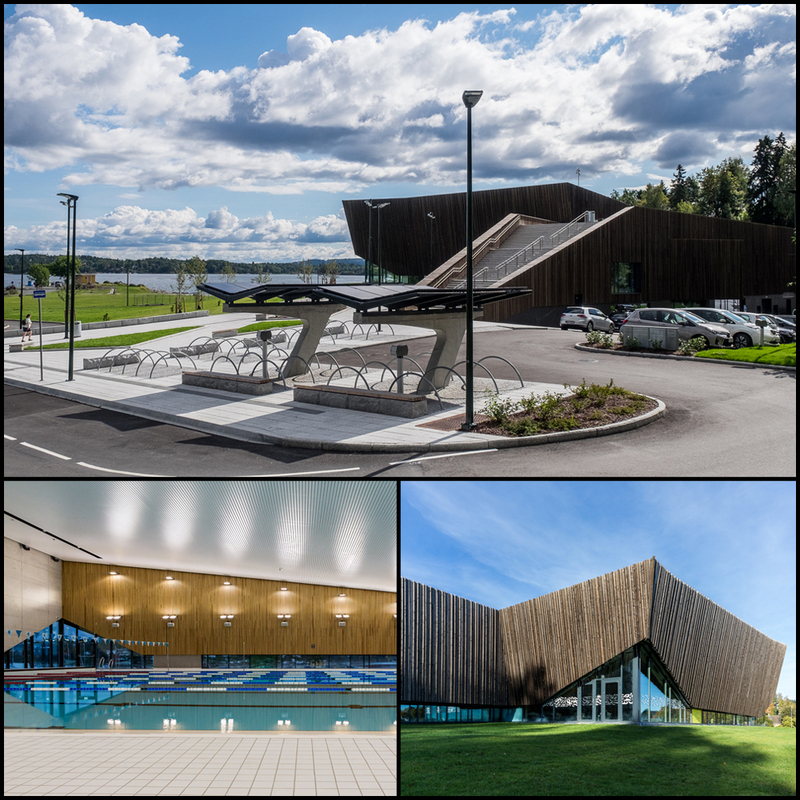 Holmen Svømmehall (Holmen Swimming Pool) is a new indoor sports complex and aquatics center in Asker, Norway. It was designed by ARKÍS to complement the natural beauty of the coastline on which it stands. Its sloping roof is covered by a grass lawn, which offers pedestrians a view of the Oslo Fjord. The ground level houses an indoor swimming pool, while the lower level includes a multi-purpose hall, gym, and other facilities. The large, new sports facility of Tianjin University’s new Peiyang Park Campus was designed by alumnus-helmed Atelier Li Xinggang. The indoor complex, which sits adjacent to a football pitch and running track, is divided into two main sections: the natatorium with a 50-meter swimming pool, and the multi-level gymnasium building that houses halls dedicated to lectures, martial arts, table tennis, dance, basketball, and racket sports, as well as a 140-meter indoor running track. 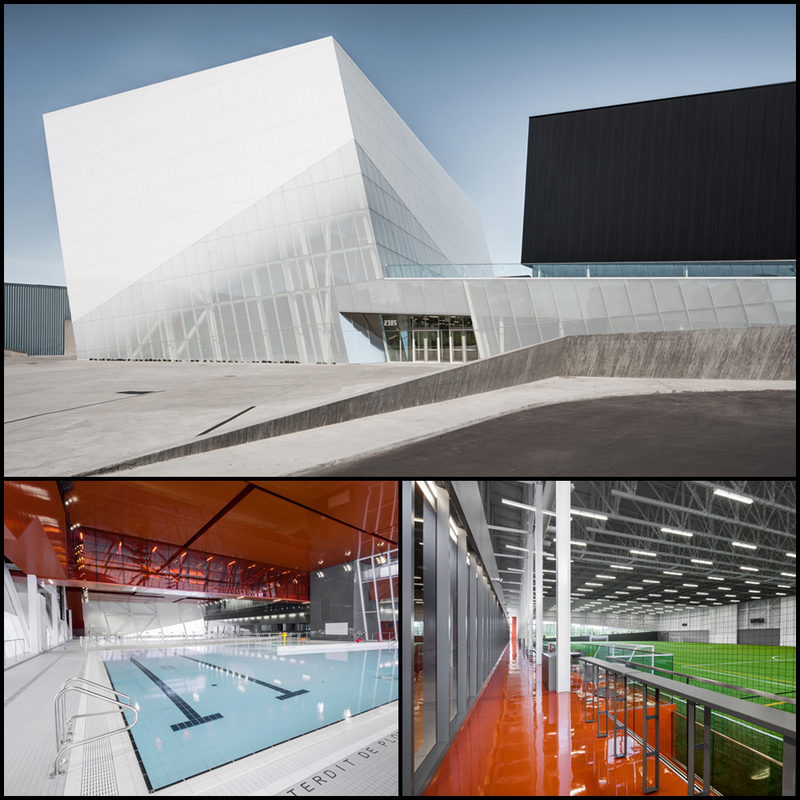 Saucier + Perrotte and Hughes Condon Marler Architects (HCMA) drafted the Complexe Sportif de Saint-Laurent (Saint-Laurent Sports Complex) while keeping in mind the existing horizontal lines of nearby buildings. The design was inspired by tectonic forces and the angular facility is divided into light and dark sections. The complex houses a 25-meter swimming pool, a gradual-depth recreational pool, gymnasiums, an indoor football field, and a multi-purpose room. Designing a sports facility in the Philippines? E-Sports International can help turn your vision into reality with over a decade of experience, our sports architecture services, design solutions, high-end equipment, and world-class building materials.